Home » Our Blog » Dental Emergencies: What are they and how soon should I be seen? A question we get asked a lot here at Briter Dental goes something like, “I just chipped my tooth, can I wait or should I come in now?” In today’s day and age, people have busy schedules and employers are more reluctant than ever to give employees time off to see their dentist or other medical specialist, so what once might have been cause for immediately going to see the dentist has now turned into, “when is your next Saturday opening?” What choice is right for you? Keep reading and we’ll go through some generalized guidelines for what can wait and what can’t. A tooth is considered chipped when a small piece of enamel (The outermost layer of the tooth), is separated from the rest of the tooth, usually as a result of some force against the tooth, like chewing. If a tooth is only chipped, and there is no sensitivity, and you are extremely careful not to bite down on it, you may be able to wait a few days before seeing your dentist without significantly risking additional damage. However, it can be very difficult without the use of xrays to determine whether or not a tooth is just chipped or is in fact fractured, which requires immediate care. Additionally, in rare cases, some patients may not feel pain even if there is nerve exposure, and generally, waiting until you DO have pain to see your dentist is a poor and often expensive choice. At Briter Dental in Katy, Texas, we focus on the value of preventative dentistry. 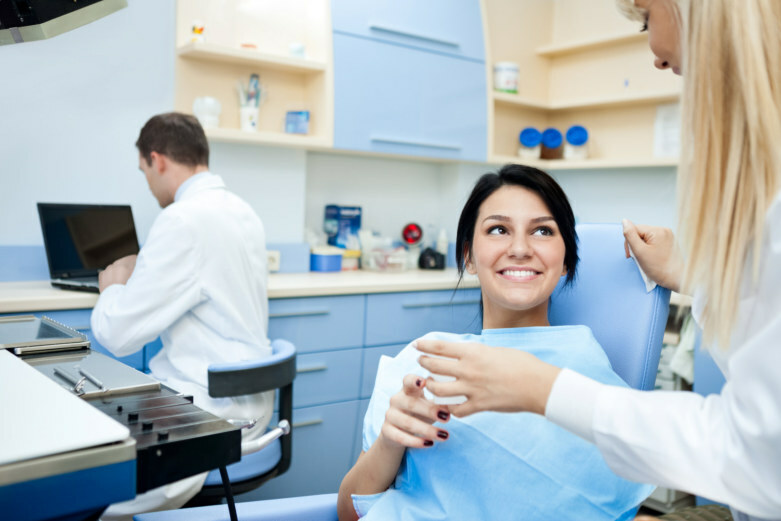 If you see your dentist for your regular six month checkups, expensive procedures like root canals, extractions, and implants can often be avoided by doing a simple and inexpensive procedure to solve the problem before it becomes painful. Verdict: Potential Dental Emergency. Might be okay to wait, but it is definitely a gamble. A cracked or fractured tooth is one that is actually coming apart and separating, either visibly or almost invisibly, and can occur above and below the gumline. Fractured and cracked teeth often but do not always include symptoms like pain, swelling, infection, and difficulty sleeping. We’d like to reiterate that the absence of pain does not necessarily indicate that a tooth does not require immediate attention. If you notice your tooth has a fracture or is cracked, there is no question, see your dentist as soon as possible. At Briter Dental in Katy, we accept walk in patients, and suggest for best results that walk in patients try to come in at 9AM. Verdict: Dental Emergency. See your dentist as soon as possible to prevent infection and other problems, potentially even loss of the tooth. When a tooth or a large portion of a tooth falls out, regardless of whether or not you feel pain, you should see a dentist as soon as you are able. While you might not have any visible tooth structure left, you may still have tooth roots underneath the gums. These roots, if left untreated, are still susceptible to pain, infection and other problematic conditions. Additionally, prompt treatment of these broken teeth may even allow your dentist to save the tooth by doing a root canal and crown, which is much less expensive than extraction and implant placement. Some patients may see this as an emergency simply due to the social aspect, but there are risks associated with going long periods of time without your permanent restoration in place also. In addition to protecting teeth, crowns and cosmetic veneers also hold space. Over time, without your restoration in place, your teeth may shift, causing it not to fit. If it doesn’t fit, the only real solution is to make another crown or veneer, usually a fairly costly process. Verdict: Potential Dental Emergency. Potential Cosmetic Dentistry Emergency. Your risk factors increase as time goes on, so don’t delay!